The core pattern sequencing will be handled through the Erica Synth Pico Trigg module, with the 5 arcade buttons at the bottom allowing me to manually trigger Accent and Choke on the two ALM Taiko modules as well as the Trig input on the ALM Pip Slope. An ALM PE-1 rounds things off, doubling as a handy 2:1 mixer in addition to EQ duties. 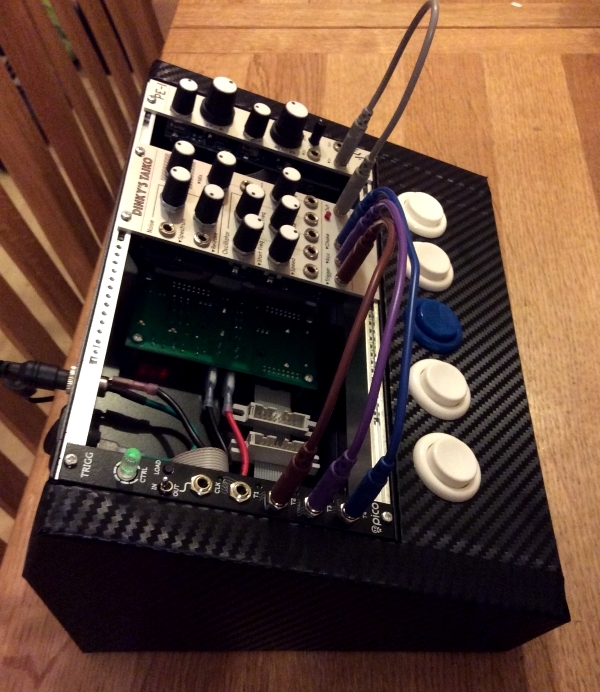 This entry was posted in Tech and tagged ALM, eurorack, modular on February 3, 2017 by scarkord. After going to all the effort of adding the TFT screen to my Raspberry Pi, I noticed that they now have Windows and Mac versions of Sonic Pi 2.0 too! 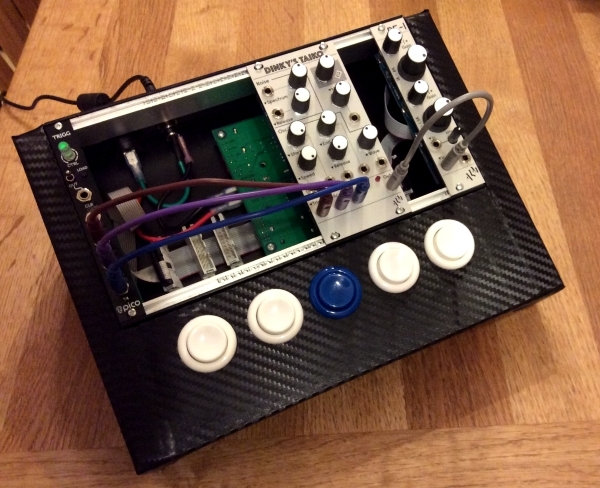 This entry was posted in Tech and tagged Raspberry Pi on November 9, 2014 by scarkord.